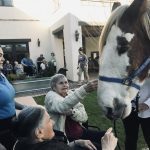 Our Hacienda Home is a special separate, secure environment where residents living with memory loss and dementia reside in a setting that has been tailored to promote a sense of security, familiarity and belonging. Individualized programs, giving each day a familiar rhythm, are based on a resident’s life story, honoring personality traits and habits. Residents are not be asked to conform to schedules, routines, and activities that have no meaning for them. The household fosters the discovery and sharing of new and old patterns of daily living. 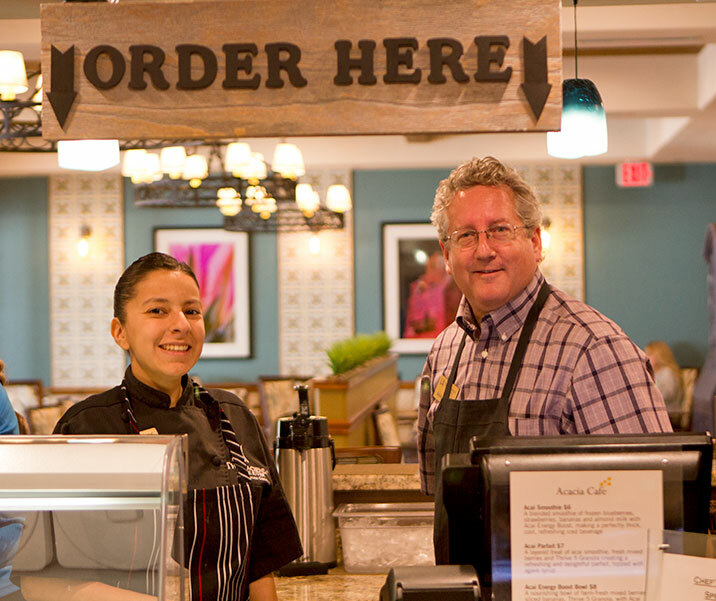 A special dining program called Thrive Dining, a signature program of Tucson’s Watermark Retirement Communities, specifically designed for residents who have trouble swallowing or who are restricted to a puree diet is offered. Residents determine their life’s tempo. Shared meals are something to look forward to—with friends and loved ones always welcome to join in. 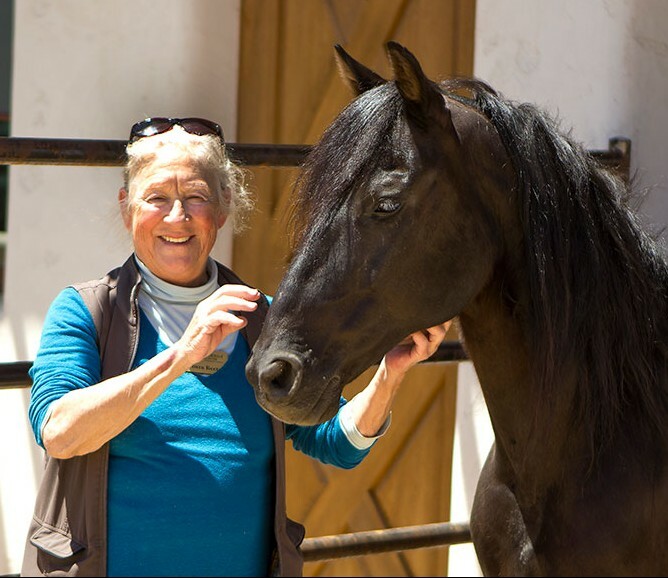 The day is also be enlivened by afternoons in the patio gardens, on-site equine therapeutic programming, art classes, outings to the University of Arizona’s landmark Poetry Center or sitting under a shade tree enjoying the desert’s serenity. 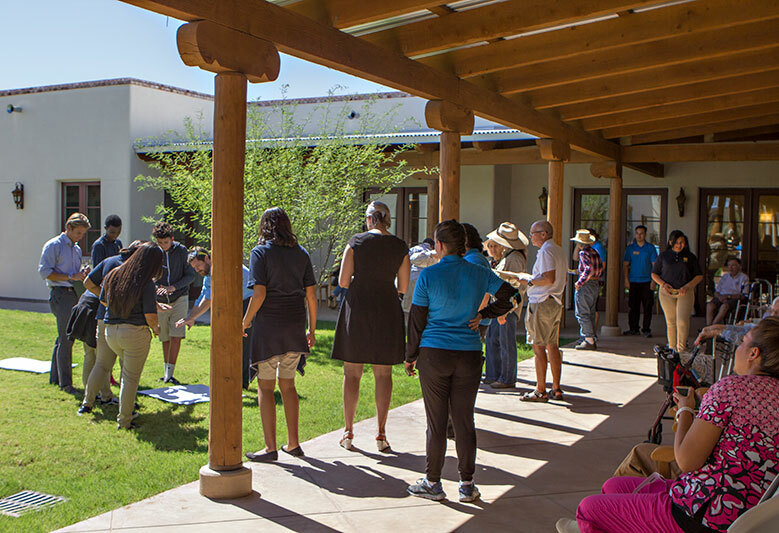 Watermark has formed an exclusive relationship with Tucson’s Southern Arizona Arts and Cultural Alliance (SAACA) to provide its residents with over 100 artists who provide entertainment and engaging artistic and cultural programming on a daily basis. 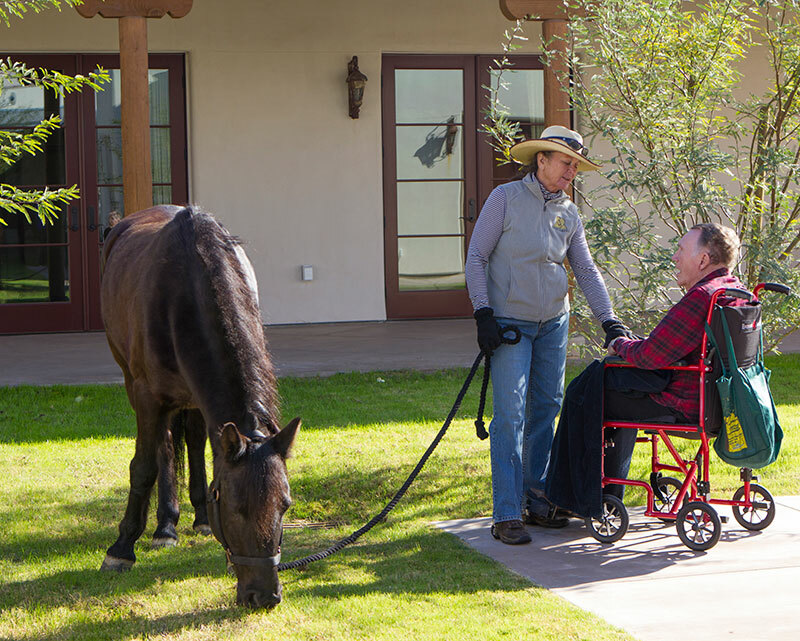 The Hacienda’s universal caregivers known as Nayas are professionally trained to care for residents with memory loss. 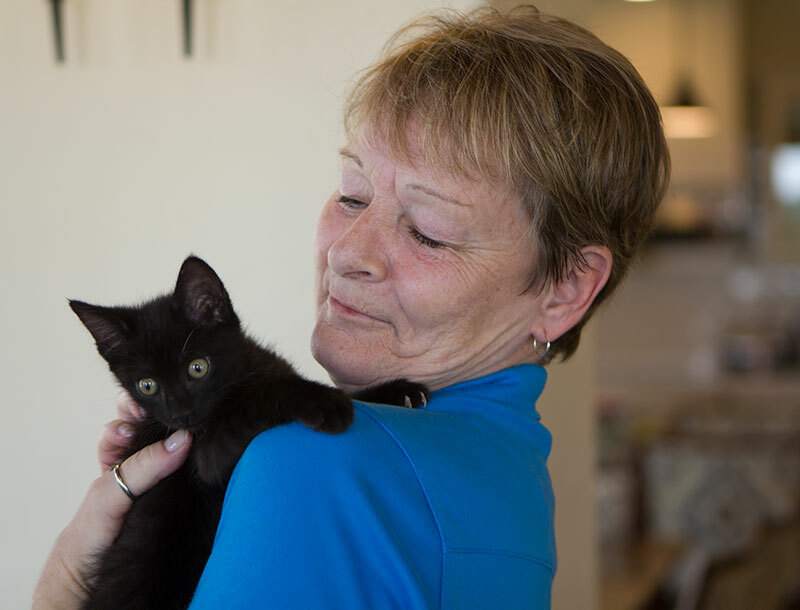 Nayas build close holistic relationships with residents, learning what most helps a resident thrive but also being able to notice subtle changes that may be early signals of concern. Memory Care is a residential environment that supports individuals living with the physical, cognitive and emotional effects of dementia. 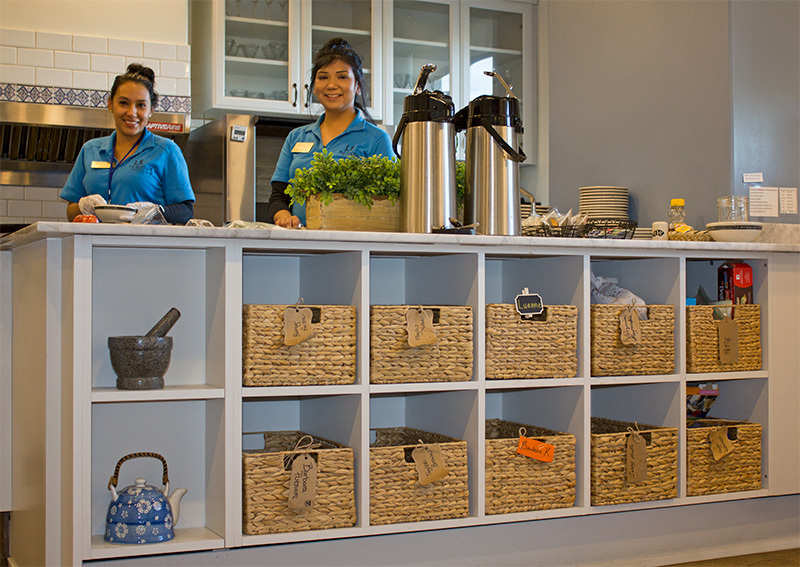 These Memory Care environments are secure, clinically enriched and feature specialized programs that follow federal, state and private standards that lessen the impact or even reverse the symptoms of dementia. 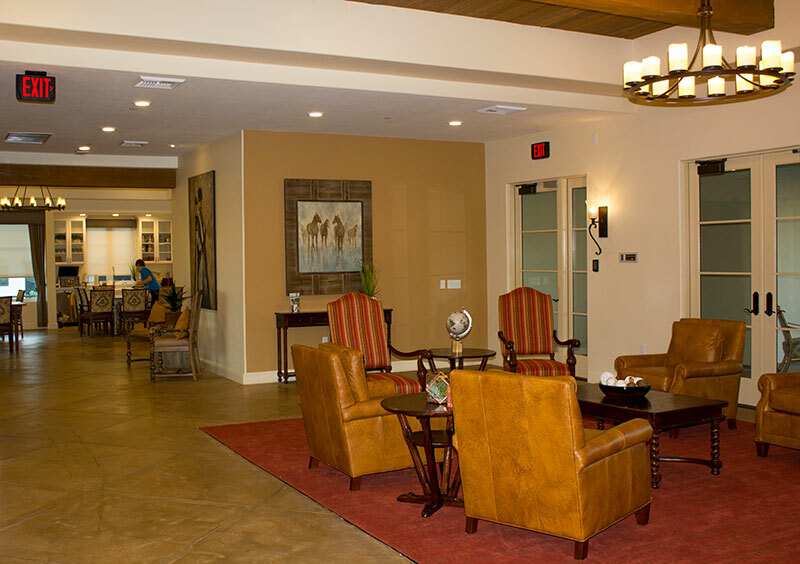 Memory Care neighborhoods within senior living communities have only been around since the 90s. 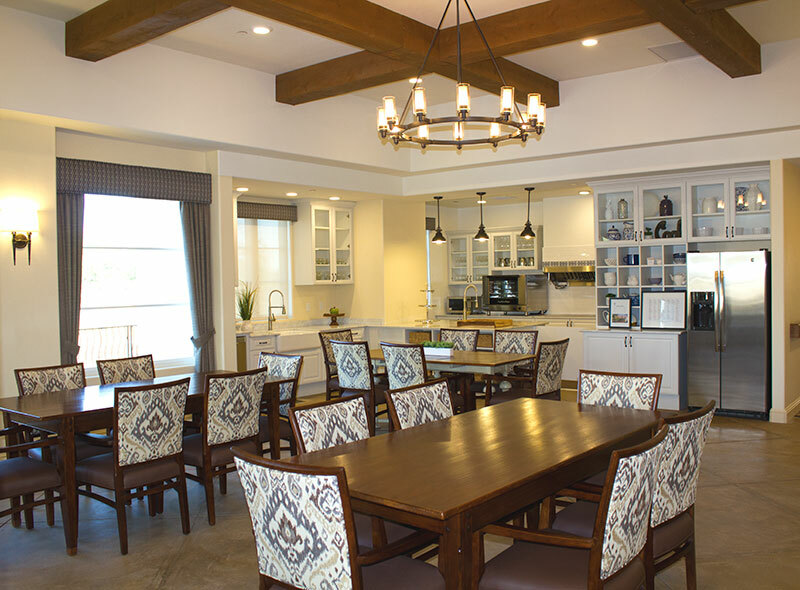 In recent years significant leaps have been made in creating environments that normalize the lives of residents and their families, thus promoting full and satisfying lives for residents and their families. Questions often come up about the criteria for determining who would benefit from living in a Memory Care setting rather than an Assisted Living setting. Although there are many variables and an in-depth assessment will be completed before an individual moves into The Hacienda, two characteristics stand out. The first is wandering or the inability of an individual to know where they are. Safety is the main concern here. A secure environment does not mean overly confined or monotonous spaces. 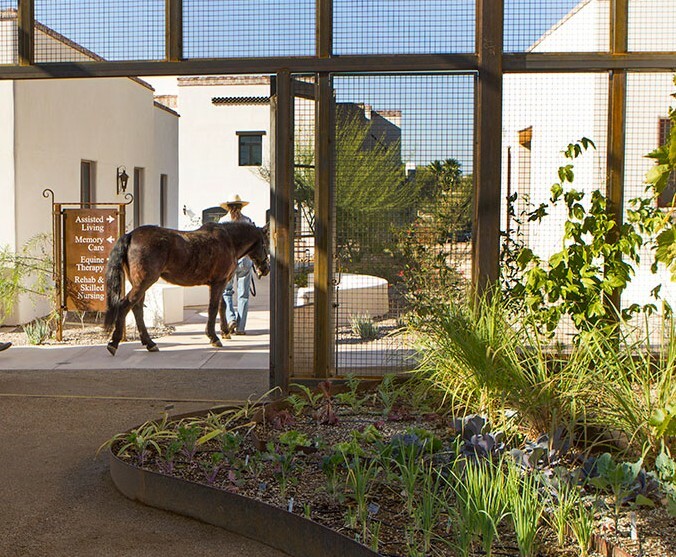 The Hacienda Memory Care neighborhoods resemble family homes, complete with private suites, shared common spaces and grassy courtyards. 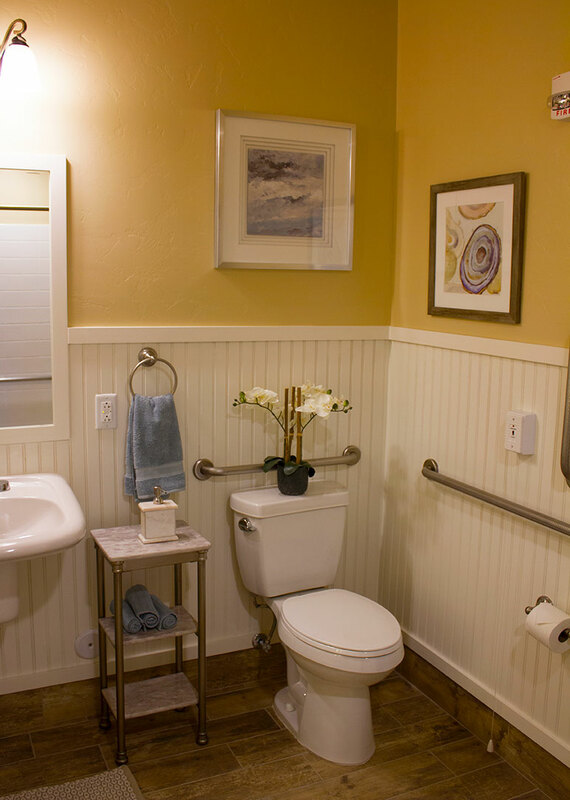 Another general indicator that someone would benefit from a Memory Care environment is self initiative. If an individual needs to be reminded to bathe or attend a favorite class in the garden, a more structured day may be tremendously helpful.